“Chestnut Lodge” comes to the market full of charm and character nestling under the shadow of a Chestnut Tree, the property has been tastefully refurbished to provide bright and airy reception rooms with a South facing aspect. There are 3 Bedrooms together with a Family Bathroom on 1st Floor Level. The traditional yard has 6 loose boxes and a tack room with a further 5 boxes and Three Span Shed in the outer yard. 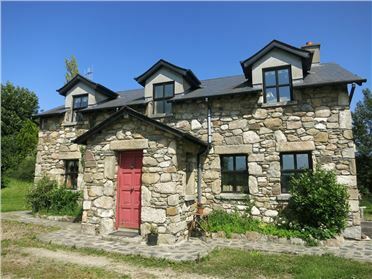 Located in the heart of South West Wexford “Chestnut Lodge” is an ideal small holding suitable as a Livery Yard or Small Training Enterprise. This spacious and well-proportioned 3 bed residence situated at Kilbraney close to both Gusserane & Newbawn comes to the market in pristine condition. The property is approached via a gravelled entrance drive and extends to c. 100sq m comprises of a Sittingroom with Solid Fuel Stove, bright Kitchen / Diningroom and separate Utility Room. 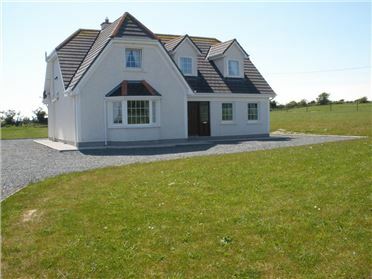 There are 3 double bedrooms (1 en Suite) and family bathroom. Set in mature and well stocked gardens with a south westerly aspect includes 2 Potting Sheds and Polytunnel, ideal for gardening enthusiasts. Viewing is highly recommended. This fine 140 acre (56.6ha) residential holding is located in south Co. Wexford less than 2.5km from Taghmon close to the Duncannon New Line (R733) and less than 15km from both Wexford town and Wellingtonbridge which offers an excellent range of shops, schools and amenities. 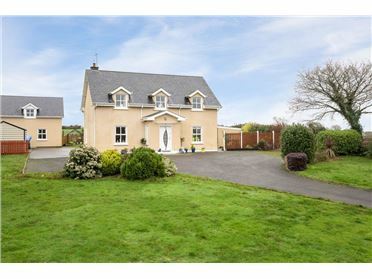 The property is less than 30minutes drive from Wexford’s major towns of New Ross and Enniscorthy and the famous sandy beaches of the south east. 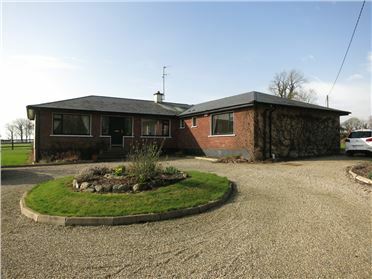 The farm is in one block with exception of c.0.5 acres situated across the public road from the farmyard. It has c. 1km of road frontage with house and yard located centrally on the holding. The land is set out in one block that features six primary divisions, with one of the fields extending to c.63 acres and this is sub-divided into three paddocks. Another comprises c. 28 acres and a c. 16 acre field located beside the farmyard. The land is level, currently in grass, half the farm could be described as Clonroche soil type, excellent for both grassland and tillage production with the remaining lands being for grassland production. All the farm is fenced with electric fences and there are large troughs in all the fields with piped supply from the farmyard. There is a natural water course which runs along two boundaries of the farm which give an all year-round water supply. The farmyard is located to the rear of the residence with a walk-way from the property to the yard and it has its own independent access from the public road. There are three small stud railed paddocks around the yard with a number of access points from the yard to the lands. The holding has been farmed as a top class suckler enterprise for the past number of years. However, it would be perfectly suited for dairying, tillage or to remain in its current use. 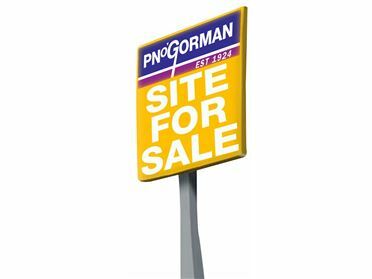 A wonderful opportunity to acquire a generously proportioned site of 1.58 acres (subject to planning permission) in Donard within minutes of the amenities of Ballywilliam Village.Easy access to N30 for New Ross and Enniscorthy. 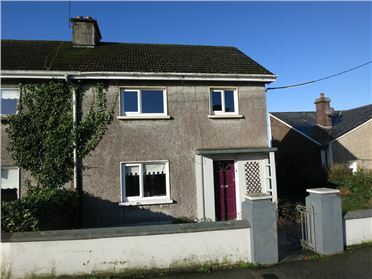 Number 20 Harvey Place, New Ross is a centrally located 2 bed end of terrace residence of 70sq m offers an excellent opportunity for anyone seeking a manageable and well portioned home within minutes’ walk of the town centre. Requiring some upgrading the property benefits from off street car parking, garage/ workshop, a side entrance and westerly facing rear garden. This is a spacious dormer residence which comes to the market in pristine condition standing on an elevated site which has commanding views over surrounding area. The living accommodation which extends to c. 150 sq.m comprises; Large Entrance Hall, Sittingroom with marble fireplace, Top quality fitted Kitchen / Diningroom, Utility Room, Guest W.C., W.H.B., 4 Bedrooms, (3 En Suite), Family Bathroom. There is a detached Garage with loft storage space. This is a lovely family home in walk-in condition close to all amenities. Viewing is highly recommended. This stylishly presented 3 bed residence standing on mature and well stocked gardens comes to the market in superb condition having been recently refurbished. 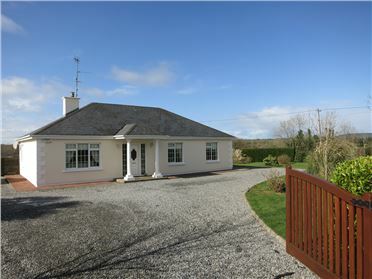 Located at Robinstown, convenient to the N30 via New Ross bypass and the towns of New Ross and Enniscorthy are within easy reach. 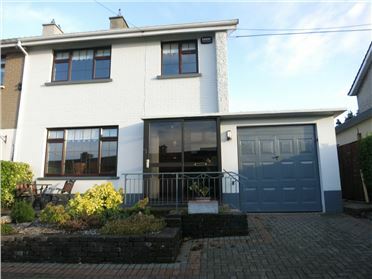 The property which extends to almost 1,600sq ft (150sq m) comprises of a Sittingroom, with solid fuel stove, bright and airy kitchen with contemporary range of units and tiled floor, Open Plan to Diningroom, Utility room, Guest W.C. On the first floor there are 3 bedrooms (master en-suite) and family bathroom. Outside the property is approached by a tarmacadam driveway, detached garage, which has been partially converted, ideal Home Office / Studio Workshop, Carport and Sunny Patio area. Viewing of this property is highly recommended. Approached via a tree lined drive ‘Lake Lodge’ is a most attractive residence which has been recently renovated to provide bright, spacious and modern living accommodation. Behind the cut stone façade the property has been sensitively and substantially upgraded to provide a spacious living room with open fire, open plan kitchen/ dining room, utility room & guest w.c. On the first floor there are 3 bedrooms and bathroom. The mature grounds which extend to c. 9.5 acres (3.8ha) include an ornamental lake, studio/ workshop and large tunnels. ‘Lake Lodge’ offers a unique opportunity to acquire a most charming country property with business potential for market gardening or plant nursery. 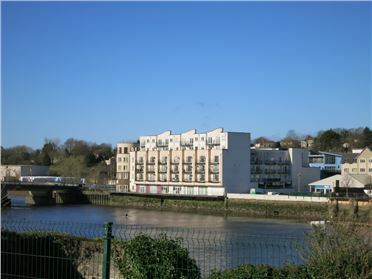 The nearby village of Wellingtonbridge offers numerous facilities & amenities and both Wexford and New Ross are within easy reach. Viewing is highly recommended.